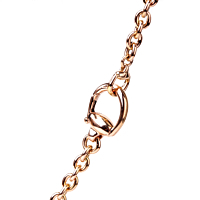 The 18-karat pink gold Horsebit Necklace from Gucci is an attention-grabbing piece. 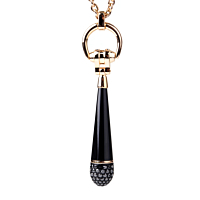 Featuring black diamonds and black corundum formed into an obelisk shaped pendant, the necklace is made to last. In addition, the horsebit design elements are a subtle reminder of Gucci's fearlessness when it comes to creating distinctive jewelry.